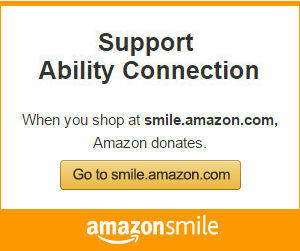 Ability Connection is a registered 501(c)3 charitable non profit organization. Your donation may be tax deductible. It is now time for Ability Connection’s tenth annual Vine and Dine gala! The annual Vine and Dine gala has been an essential part of bringing services to Texas’ most vulnerable population among society. Ability Connection has been serving children and adults with disabilities for nearly 65 years. Vine and Dine will be hosted by Downtown Dallas Neiman Marcus at The Zodiac Room. For their work, this year’s gala will honor the esteemed Jack and Meredith Woodworth. Attendees will have the opportunity to enjoy wine by Coquerel Vineyards and an unparalleled menu prepared by a Neiman Marcus chef as they bid on remarkable items in a silent and live auction sponsored by Heritage Auctions. From decadent vacation getaways to fine handbags, shoes and jewelry sponsored by Neiman Marcus, the items available for bidding are truly exceptional. “Vine and Dine” is surely a night that cannot be missed, to purchase tables or seats please contact development@abilityconnection.org. At Ability Connection, our passion is providing the very highest quality care and support to children and adults with disabilities. Ability Connection is proud to announce we are recipients of the PLATINUM LEVEL recognition with GUIDESTAR, Charity Review.